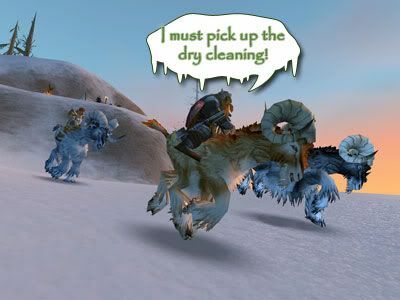 Quirky Jessi: 6 ways Warcraft is worse than "real life"
6 ways Warcraft is worse than "real life"
One of the main reasons people play games of any sort is for fun, right? Anyone who has ever played 'any' game has likely reached some level of annoyance or frustrating of not being able to advance, whether it's a game of Mario Bros. or Monopoly. World of Warcraft gets a lot of attention these days, but what a lot of people don't realize is that the world of "escape" can often times end up being worse than the rest of life. Yikes! Cracked did an article last Fall addressing some of those stressful realities in a fictional world. Not only is it a lot like working and job hunting, but it's also full of a lot of BS that has nothing to do with anything else. Such is life, I guess.